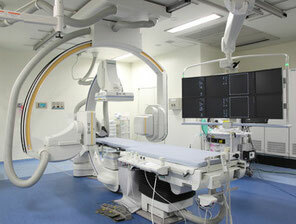 The hospital is equiped with state of the art operating theatre. The photo shows Angio system. 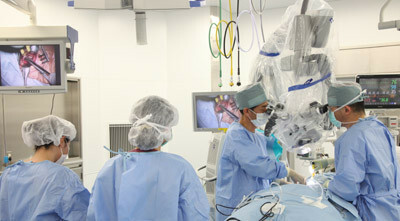 Minimally Invasive Surgery (MIS) with surgical microscope.